We are really celebrating NSD and MONTH at Let's Scrap this month. You need to visit the site and check the challenges, games and activities there! 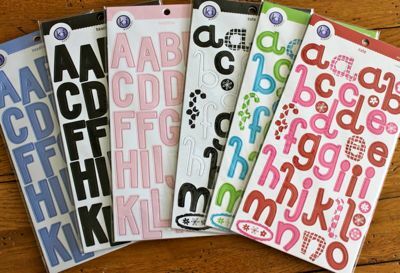 I have posted a Scrapword Puzzle game and challenge with a set of 6 packs of Ki Memories Hip Chip Alphabet Chipboard, from my favourite deal of the day shop, Crafty Steals! In order to get your name in the hat for a chance to win this prize, become a follower of this blog and leave a comment. If you have a blog, post a comment there. There's an identical prize also waiting for you at Let's Scrap NSD#6, check it out! when is the due date for the 3 dot letters on lets scrap??? So busy today, so much fun. Thanks for making it a great day!!! HI Carolina! I followed you over from Let's Scrap and now I'm following your blog! Thanks for the fun game ! You really do have a nice blog page. You do beautiful work. Love your blog Carolina. I am becoming a follower, putting your blog in my Favorite Blogs to Follow and your Blog Candy in the sidebar. Now I'm off to work on your scrapword puzzle. I am already a follower! Love visiting your blog!! I am a follower and here is where I linked you up on my blog: http://myscrappystory.blogspot.com/2010/05/blog-candy-updates.html . Thanks for the chance at the candy! so useful!! I'm a new follower, thanks for this chance! I'm following! Great blog. Glad I stumbled onto you! I am a follower now and am participating in the hop! !Yippee, I have 8 layouts done and a card, 1 more layout to do I am so excited. What an awesome blog you have - I'm so glad I found you through my friend Betty Anne! I have become a follower and have linked your candy to my sidebar at Create With Joy - thanks for the chance to win your awesome prize! I'm also hosting a giveaway this month, so please stop by when you have a moment - I'd love to include you in the draw! Thanks, Ramona, I've just visited your blog, it's great! I became a follower and I am going to complete the puzzle at Let's Scrap... It has been on my list of things to do for a while now so I gotta get over there and do it!!! !